Late afternoon sunlight is the reason for the deep shadows in this photograph of Sibthorp’s primrose from a few years ago. The E.H. Lohbrunner Alpine Garden is mostly organized by continents, but the rock and alpine vegetation of Asia Minor was deemed deserving of its own set of garden beds when the garden was first constructed. It is here where this primrose and many other low-growing plant taxa (like Cyclamen spp. and other Primula spp.) are among the first and boldest colours of spring in UBC Botanical Garden. Primula vulgaris subsp. sibthorpii is native to the eastern parts of the Balkan Peninsula. 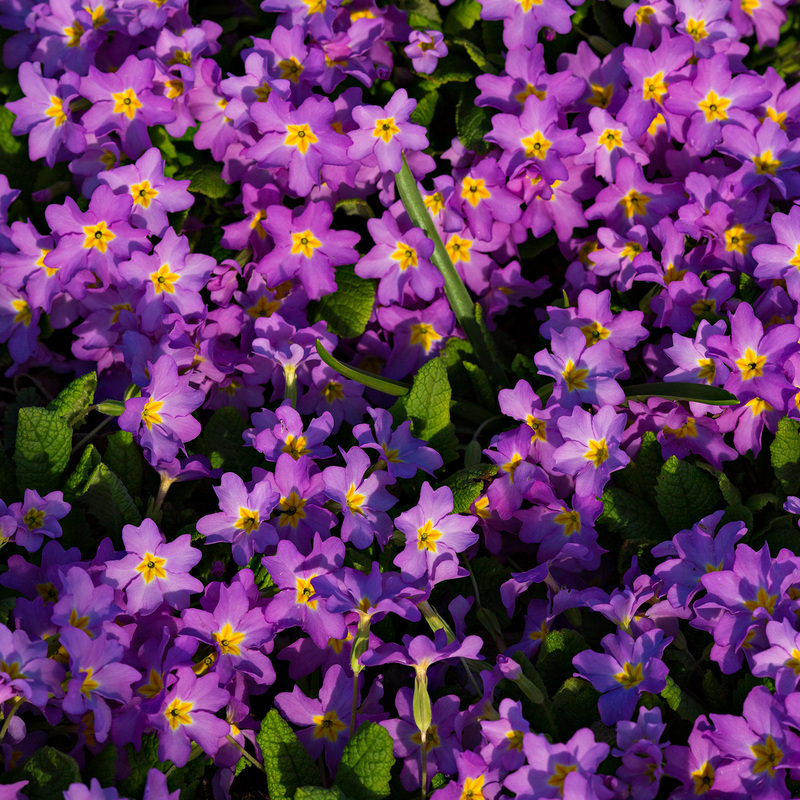 Botanical and gardening author John Grimshaw has a well-researched article about Sibthorp primrose that I highly recommend, especially if you are interested in reading about his experience with the plant in his garden or details about Sibthorp, the person it is named in honour of. He also makes note that the colour of the flowers (pink to purply-red, though sometimes yellow or white) is the primary way of distinguishing it from other subspecies of the common primrose (Primula vulgaris); see this Ferdinand Bauer illustration of the subspecies from Flora Graeca: Primula vulgaris subsp. sibthorpii (under a former name, subspecies rubra). I’ve updated the (too-few) previous BPotD entries for Primula, as well as updated the previous entries of Dodecatheon (these are now considered by many to be Primula as well). Follow the Primulaceae tag above to revisit these entries! 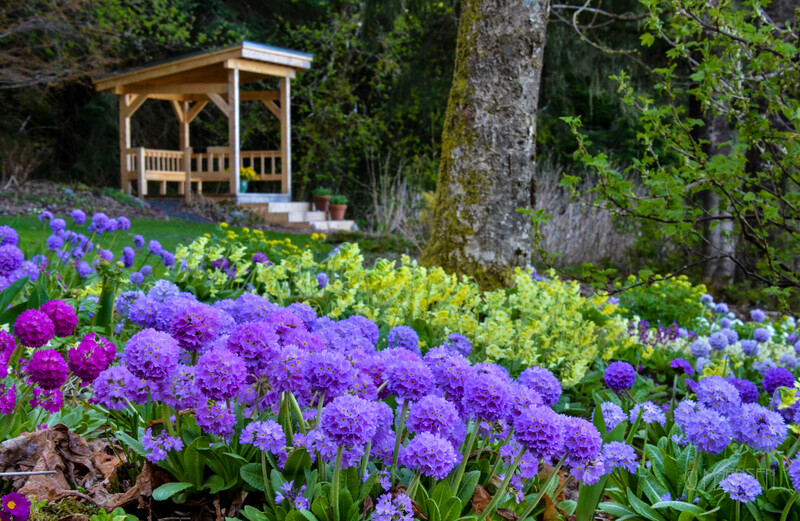 Lastly, it’s been linked to before, but the Jensen-Olson Arboretum in Juneau, Alaska is recognized as having the largest collection of documented Primula species in North America (ref: Plant Collections Network). I imagine it’ll be the place to be towards the end of April, if riotous flower colours are something you enjoy! A welcome sight this morning — another nor’easter is about to arrive in Connecticut. Wow, really? I’m sorry to hear that. Does this subspecies have pin-eyed & thrum-eyed forms? The parent species does, I don’t have reason to doubt that the subspecies wouldn’t. Yes, both pin and thrum flowers occur.